STANDARD PRINT is for Full Color Printing on one side for photos and multi-color printing. The 1, 2 and 3 Color Print Product Versions require VECTOR artwork. Pricing is for one side only. Please contact us for a quote for 2 sided printing. 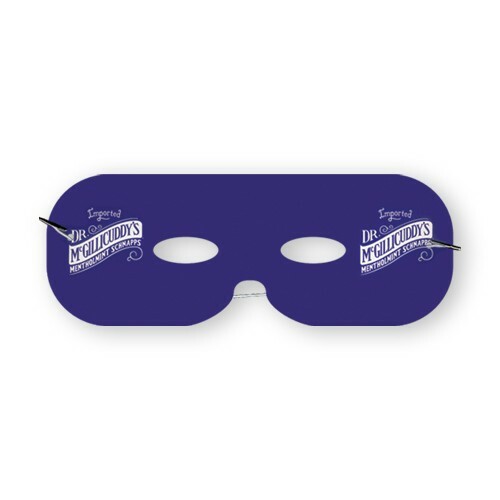 Masks are printed on 16 point coated board stock and include an easy to attach elastic cord. Add $0.10 per mask for cord attachment. Includes an easy to attach elastic cord. Add $0.10 per mask for cord attachment. Warning - CHOKING HAZARD - Small parts. Not for children under 3 yrs.